This is a showstopper Venetian mask! Made out of a durable poly plastic resin which is very lightweight and comfortable to wear with the ties provided. 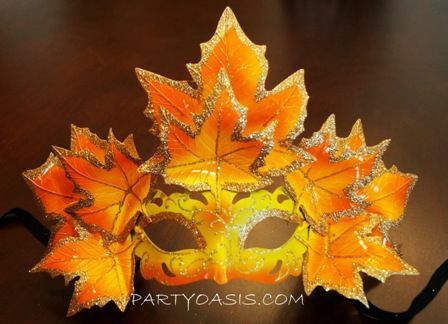 Handpained with gold shimmer accents, this mask makes a great costume in itself.